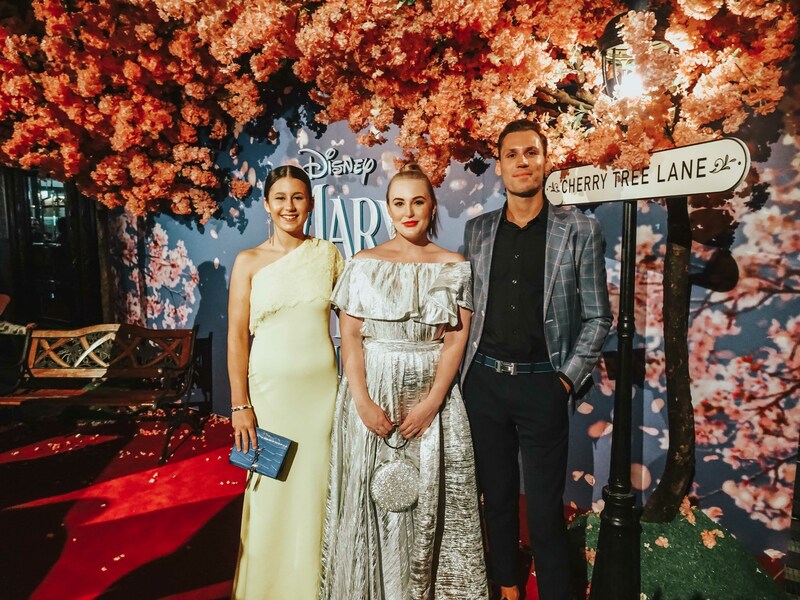 Just a mere two weeks ago, I squeezed in a quick trip to Sydney to preview the highly anticipated Gala Screening of Mary Poppins Returns, as a guest of Disney. Although a short 48hr staycation, here’s my highlight reel of the magical events that occurred. Wearing White Label Noba Sofia Skirt and Lisette Blouse, Adorne Diamante Round Ring Structured Clutch, Swarovski Earrings (similar style here). Knowing that a red carpet was imminent, a spectacular frock was needed for the occasion. 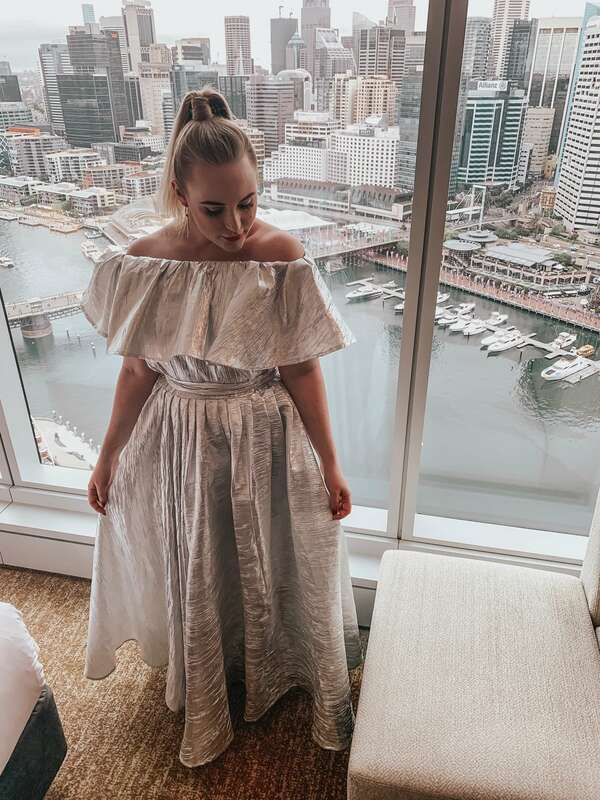 My Cinderella moment was achieved in a dazzling, silvery two piece by Queensland Designer Tracey Watkins of White Label Noba. Making a grand entrance in the London style Disney cab, I really felt like a real life princess, with a gown destined to make the fairest royal totally jealous. 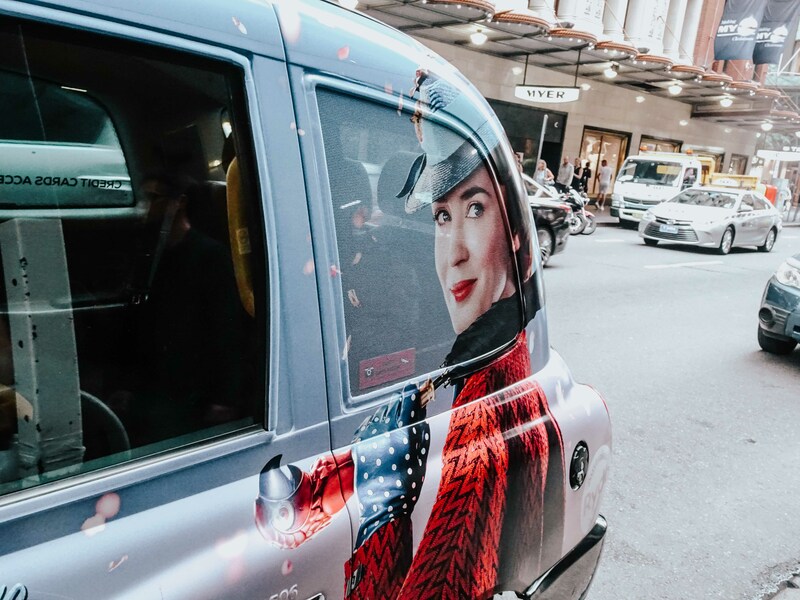 As for the film, it was practically enchanting in every way possible, from the impeccably styled and articulate, Emily Blunt who shone as Mary Poppins, to the whimsical cinematography and charismatic storyline. Not to mention, the score is positively charming and cheeky, quickly becoming a key feature on my Spotify playlist. 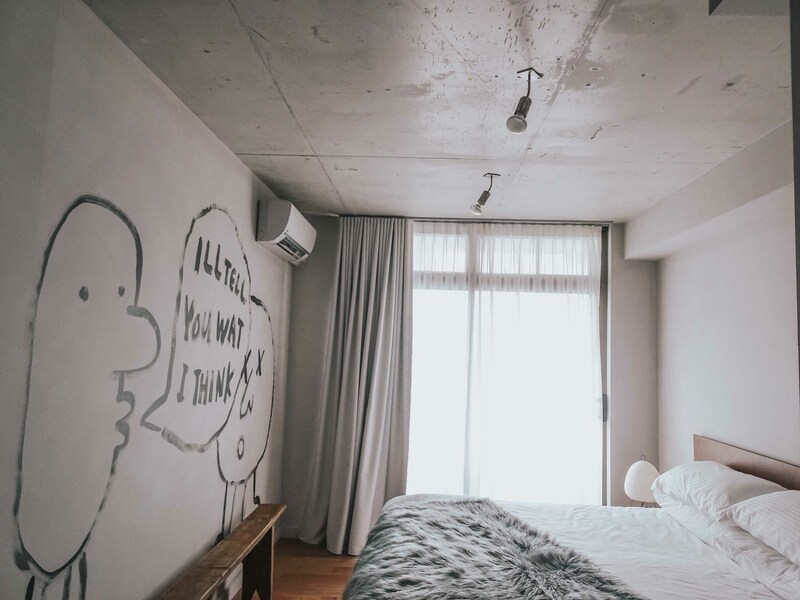 This was my first time staying in Sydney’s one of a kind boutique hotel, The Collectionist and choosing my own room was the ultimate luxury. I was lucky enough to lounge in the Kyoko room, within the Artisan room series. The room was incredibly tranquil highlighting Japanese minimalism through the natural material interior and neutral colour palette. With speedy wifi readily available I was able to binge watch my favourite Christmas movies, like The Holiday. Wearing Little Party Dress Frances Confetti Print Shirt Dress, Adorne Knotted Open Weave Market Bag and Rikki Resin Oval Earrings. Is it even a Sydney trip without a visit to The Grounds Of Alexandria? I think not! 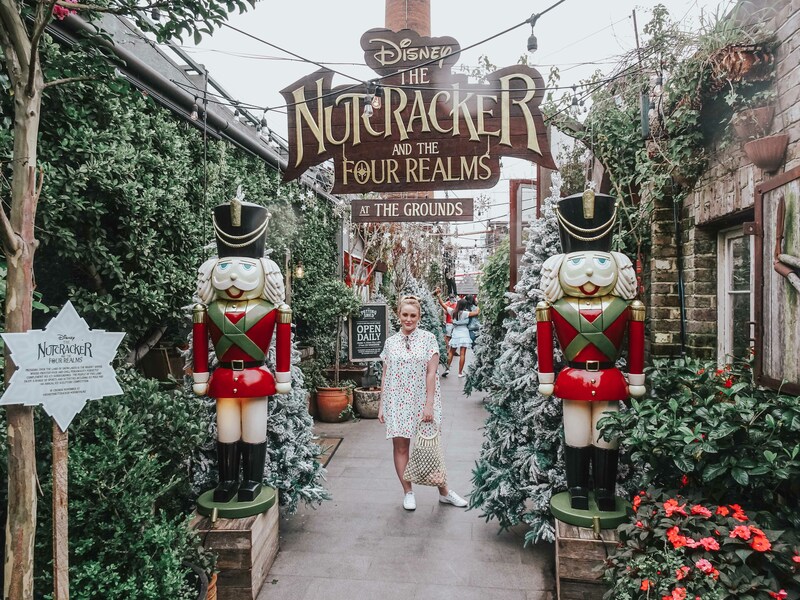 My Christmas dreams became reality as I wandered through The Nutcracker And The Four Realms activation, which featured giant Nutcracker statues, larger than life candy canes, endless snow capped Christmas trees, lush florals and magical falling snow. Short yet sweet, my trip to Sydney was in one word, remarkable and I look forward to returning in early 2019! 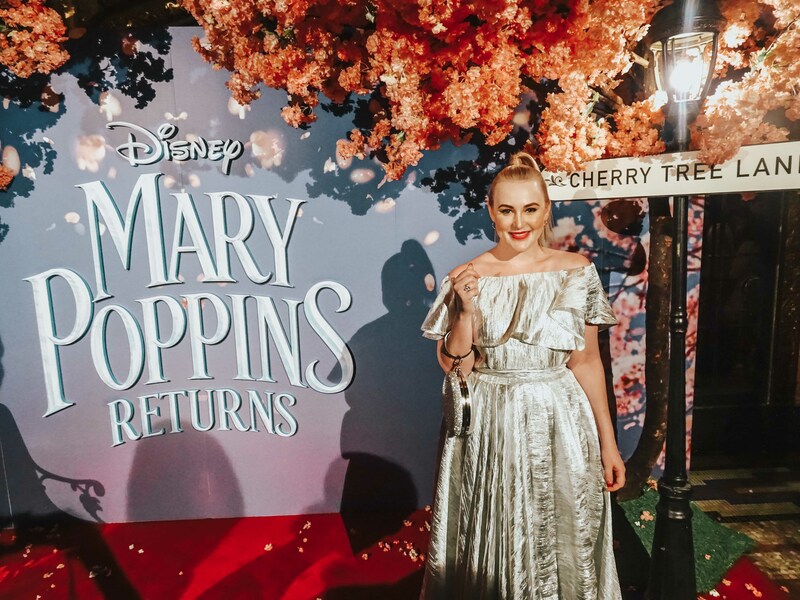 In the mean time – keep any eye out for my upcoming practically perfect Disney Bounding post, inspired by Mary Poppins Returns. 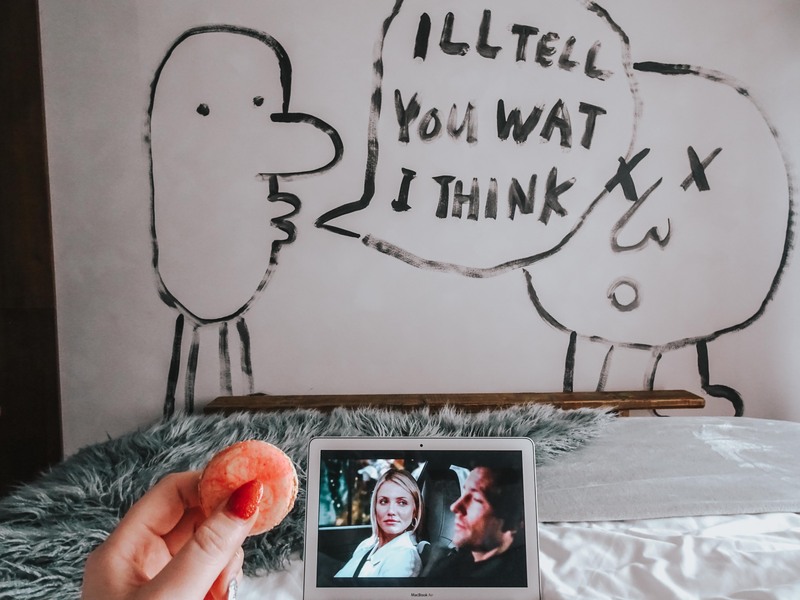 From Me, To Me: 3 Gifts To Spoil Yourself With! 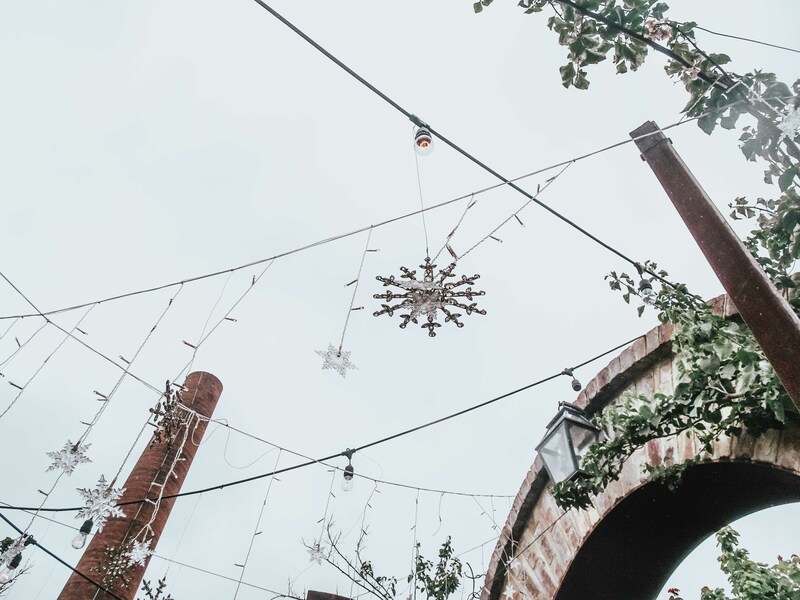 You’ve finished the Christmas shopping, garnished your final gift and ready to ring in Christmas with your nearest and dearest. Well done girlbosses! How about spoiling fabulous you? Presenting my top 3 gifts to spoil yourself with. Saint Belford Curation 2019 Diary, Curation Sticker Set. 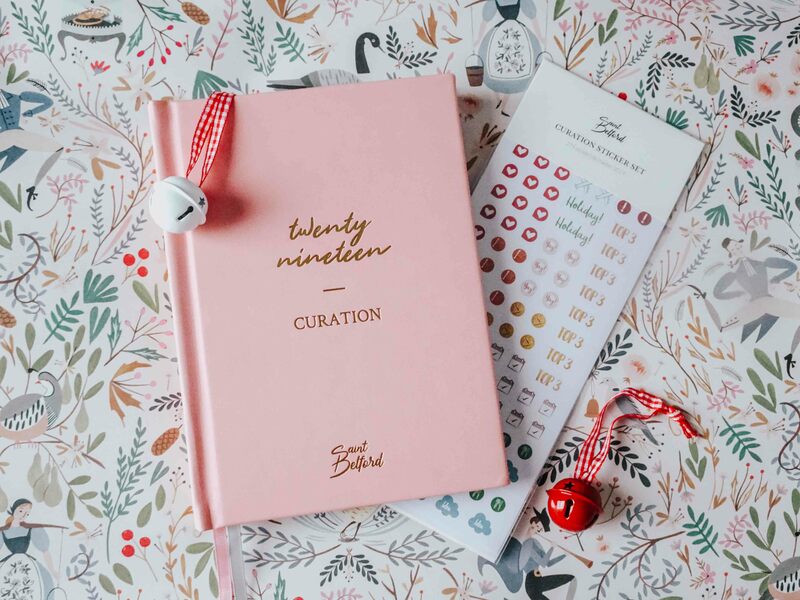 What better way to welcome the new year, then with a sparkling new planner and this blush beauty from Saint Belford has me smitten. 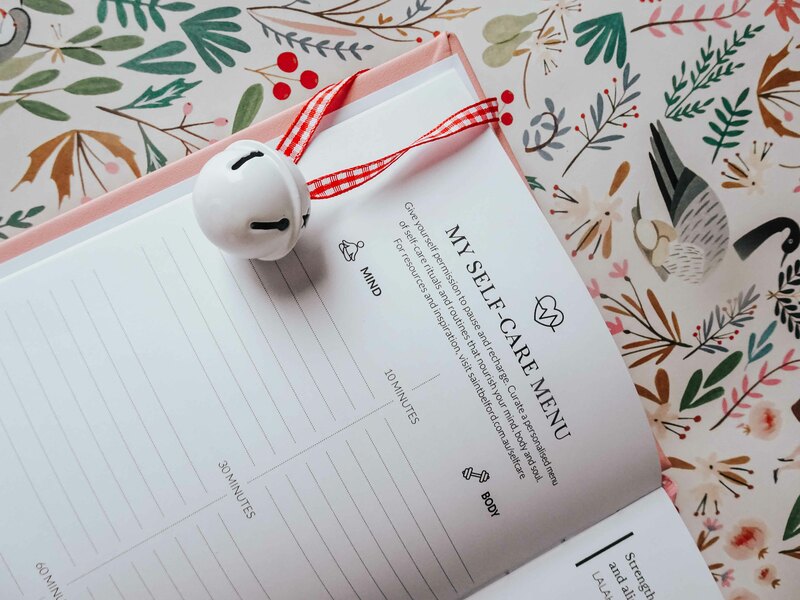 What I’m loving about this diary are the fabulous little extras including a habit and savings curator, self-care menu and bucket list. There’s never been a more perfect time to invest in a thoughtful purchase to help evolve into the most goal oriented and organised you. Crabtree & Evelyn Rose Fever Evelyn Rose Essentials. Categorised indulgent and I couldn’t agree more! The Rose Fever Evelyn Rose Essentials gift pack by Crabtree & Evelyn is a heavenly fragrance of fresh rose petals and floral notes. 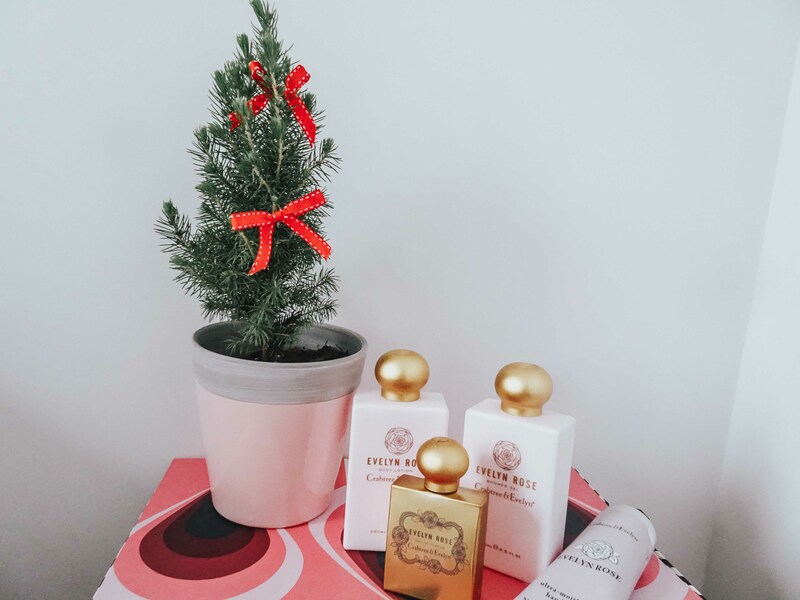 With a shower gel, body lotion and hand therapy, my favourite pick from the set would be the Eau de Parfum for it’s luxe gold packaging and delightful scent of musk, amber, violet and of course, rose. 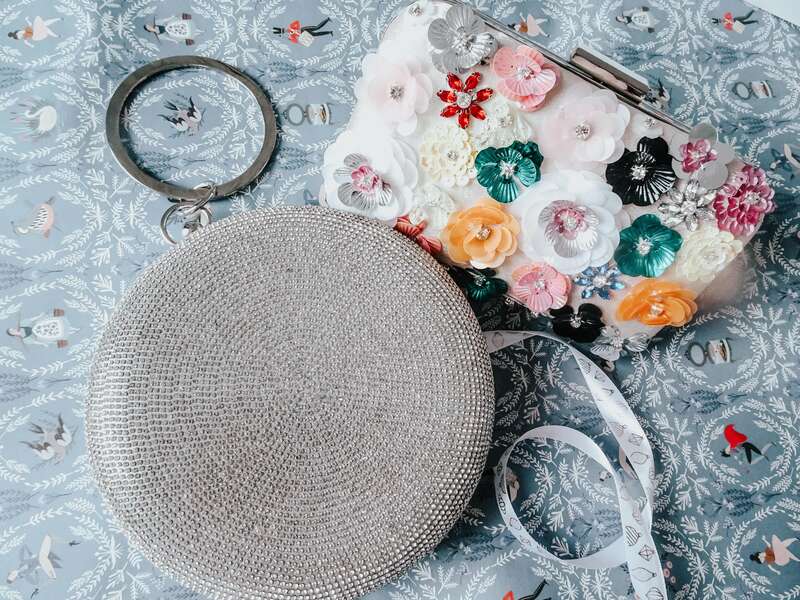 3D Jewelled Flowers Structured Clutch, Diamante Round Ring Handle Structured Clutch. Nights out have never looked this sparkly, thanks to the gorgeous range of clutches available at Adorne. Whether it’s a intimate date night with the beau, or rooftop cocktails with the squad, it’s reason to bring out an enviable little accessory, preferably with some form of shimmer. 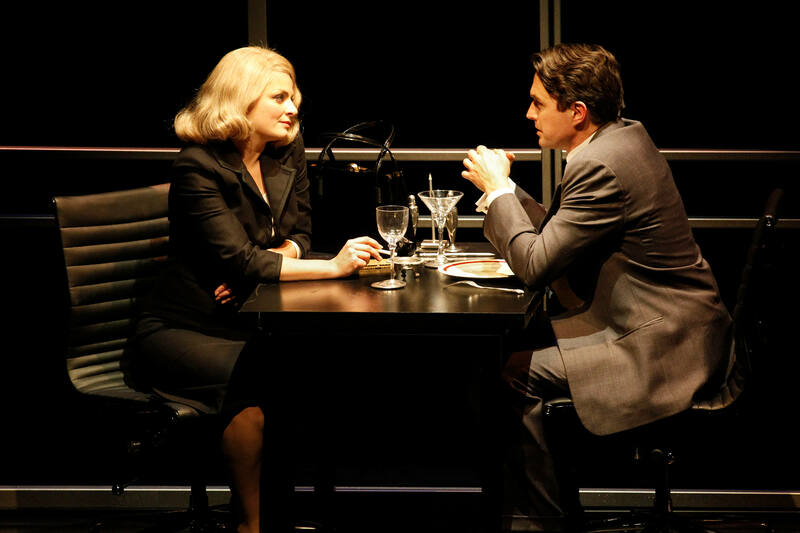 Last weekend I was transported back to the 50’s through the stylish pursuits of the Hitchcock original, North by Northwest, currently showing at Qpac’s Lyric Theatre. 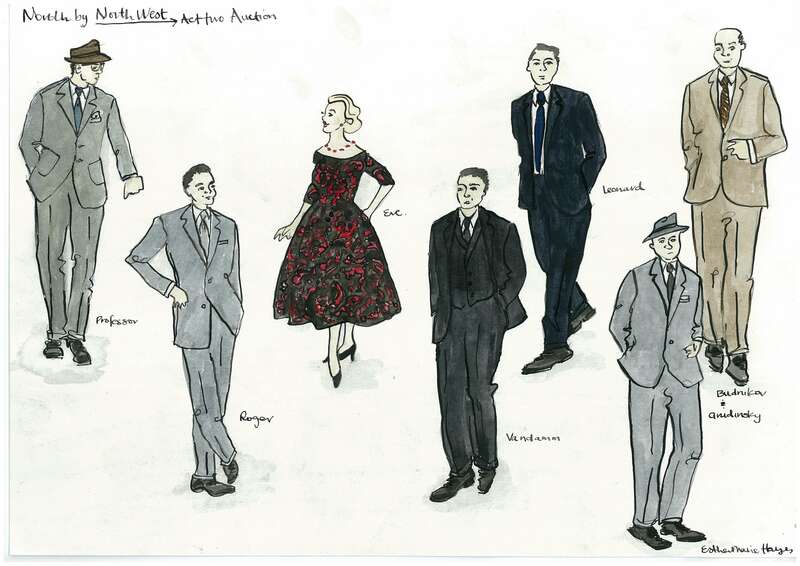 With a penchant for the ever so stylish decade, I sat down with Costume Designer Esther Marie Hayes for a glimpse into the glamorous costume process. Check out our stylish Q&A below! 2. 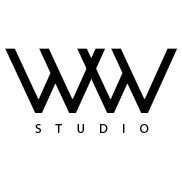 What’s your process when it comes to styling script to stage? Lots of research and logistics! After reading the script a few times while making notes and sketches, I will meet with the Director (in this case, Simon Phillips) to talk through the look and style of the show. For North by Northwest, the pace of the show was to be very fast and thrilling, with the additional challenge of making it look like we had a full bustling film cast with a ensemble of 12 stage actors. 3. How are the character’s quirks depicted through their attire? Everything works together to create a character, from the choice of fabric and/or pattern in the costume, to wig styling and smaller details, such as choice of sock suspenders or matching gloves. Colour and fit also speaks a lot about a character, for example how confident or shy they are. Often it’s these smaller details and unique combinations that allow you to shape a character’s look and personality. This all contributes to help the actor feel comfortable in the role. 4. Which character has the most stylish wardrobe and why? Eve Kendal, is the leading lady and her iconic sense of style oozes confidence and sensuality. 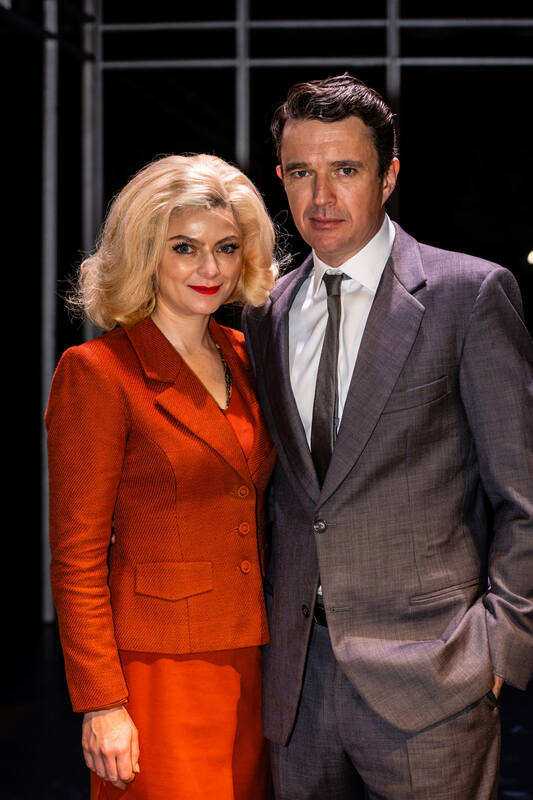 From her foundation garments to the precise tailoring of her pencil skirt, Eve’s wardrobe is designed to represent the familiar ‘Hitchcock’ blonde while maintaining a sense of mystery. 5. Fav fashionable moment on stage? In North by Northwest, the busy crowd scenes are my favourite- particularly the train scene which has some of the quickest changes! I also really love the Rushmore cafe scene, it’s a dramatic moment in the play and I was able to have fun with colour and pattern for the bystanders in the cafe enjoying their visit to the monument. 6. The most exclusive/rare garment sourced for the show? 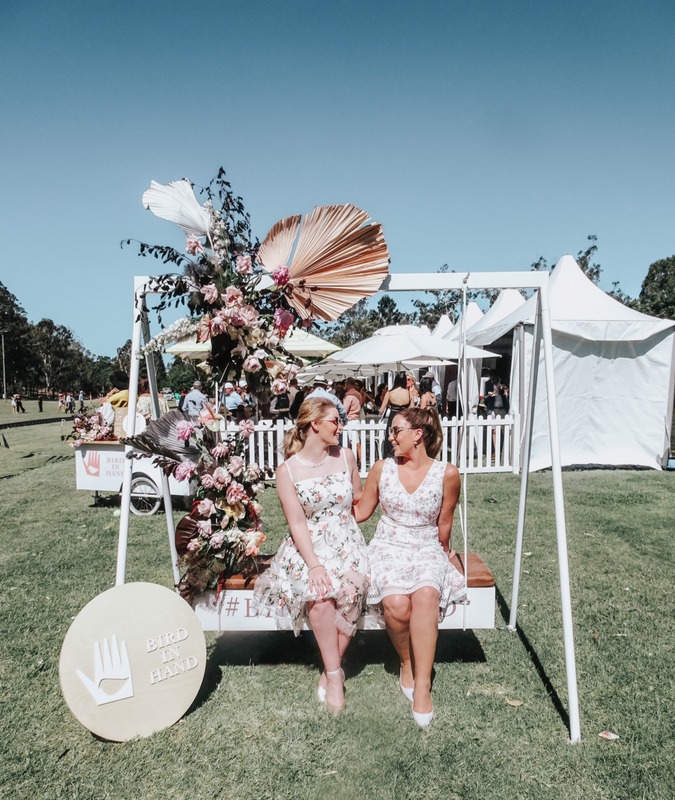 There are many original pieces from the 1950s sourced from the States, UK and all over Australia, as well as a few pieces from my personal vintage collection. The most exclusive items are actually the fabrics used for Eve Kendal’s costumes. We searched everywhere for the iconic black and rose fabric used to recreate the dress she wears in the infamous auction scene. We found a fabric company in Germany that had beautiful jacquard silk which was almost an identical match..
Another fabric which was also hard to find was the burnt orange knit Eve wears in the final scene. We ended up finding it in one of those tiny, poky fabric stores with piles of materials that reached the ceiling. We found a roll hidden amongst piles of fabric and were very ecstatic, much to the surprise of the shop owner. 7. Tips & Tricks for those looking to integrate a 50’s influence into their current wardrobe? The 1950’s is a great decade to integrate into your wardrobe, as it’s such a classic look. For men, start with a clean cut, tailored look- and then focus on the little details and accessories such as pocket squares, cufflinks, hats and sunglasses. Matt Day wears a pair of tortoiseshell sunglasses from Oscar Wylee so it’s easy to incorporate classic looks from modern stores. 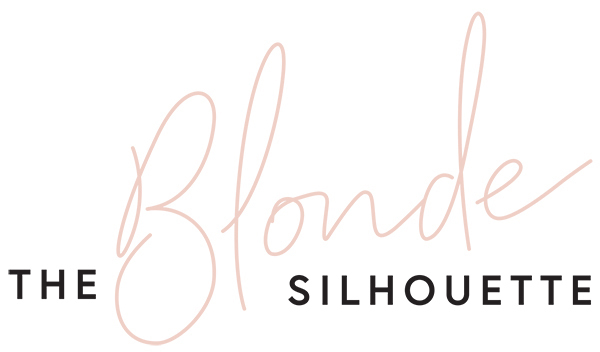 For women, I would go with choosing classic silhouettes and fabrics. A simple blouse tucked into a pencil skirt will create the iconic 50s hourglass shape. Accessorise with a belt worn on the natural waistline, a Jaunty neck scarf, winged eyeliner and for true 50’s glamour, a pair of gloves. Brisbane, this show is an absolute must-see and will captivate you instantly with the thrilling plot, charismatic leads and stylish ensembles. If you haven’t already, then snap up your tickets for the final weekend here! Remember that scene in Pretty Woman, where Vivian gets frocked up and attends the polo on the arm of the dreamy Edward Lewis? Well I lived that dream last weekend, with a few obvious exceptions (lady of the night profession and sans one Richard Gere). 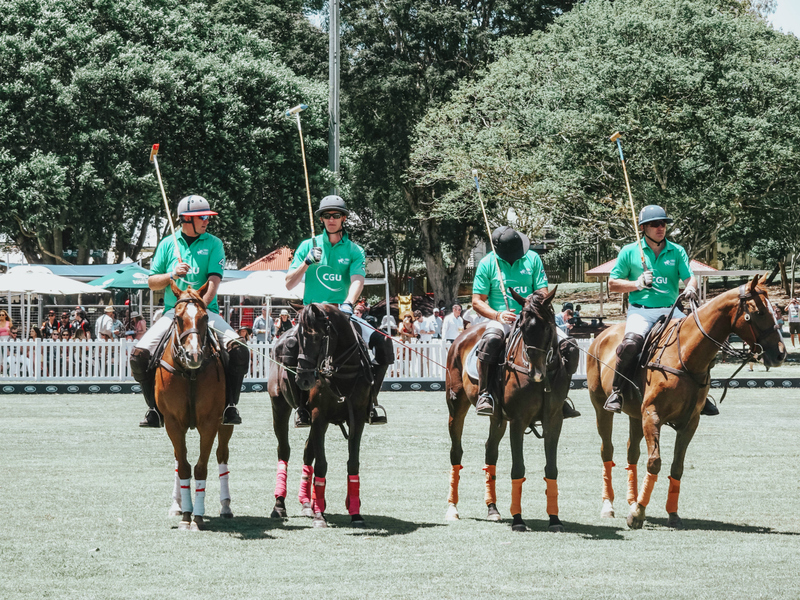 Check out my highlights from Polo In The City below. Wearing Review Heirloom Floral Dress. 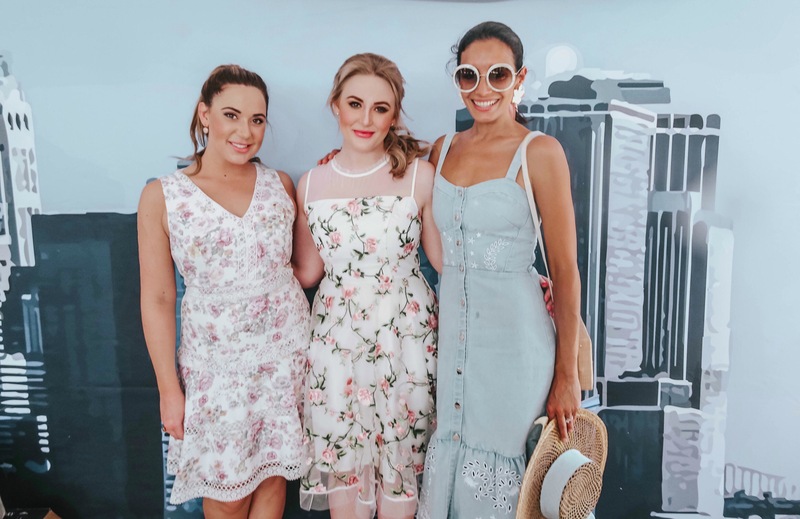 My first time attending the Polo In The City, was celebrated in the most stylish way, with my sister and I being dolled up by Review. With a love of florals, we both choose garments with dreamy, blooming prints, otherwise perfect for the Spring affair. 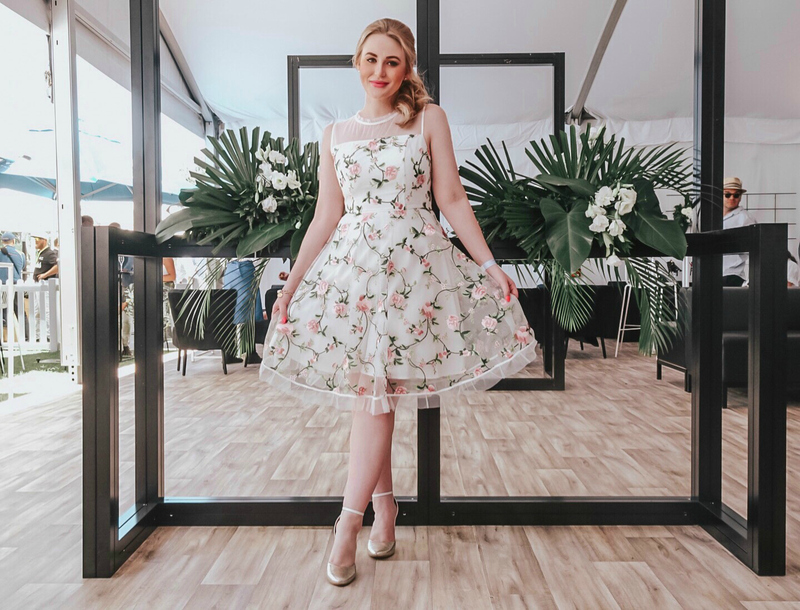 Sophie wore the Best Kept Secret Dress, a garment so fitting for the sweetest garden soiree, which featured a flirty A-line silhouette with lace fagoted seam detailing. I on the other hand, wore the Heirloom Floral Dress, which spoke 50’s chic with the sheer neckline, organza overlay and ruffled trim. Due to the balmy weather, a crisp pour was essential, including a round of Aperol Spritz, which took me back to my recent European summer. 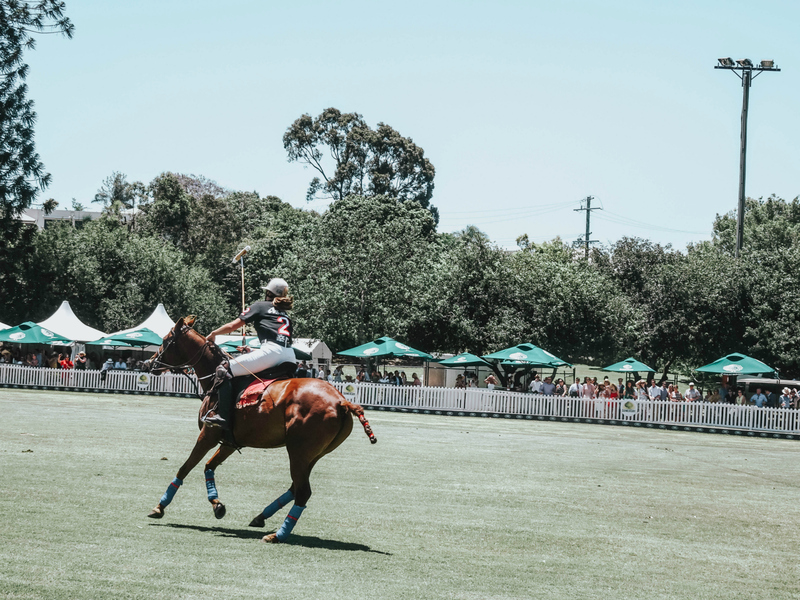 The view of the clear blue skies and endless greenery of Dorrington Park from the Champagne Pommery Marquee, made a picturesque setting for the polo match, which highlighted supreme athletes styled in sophisticated sportswear. 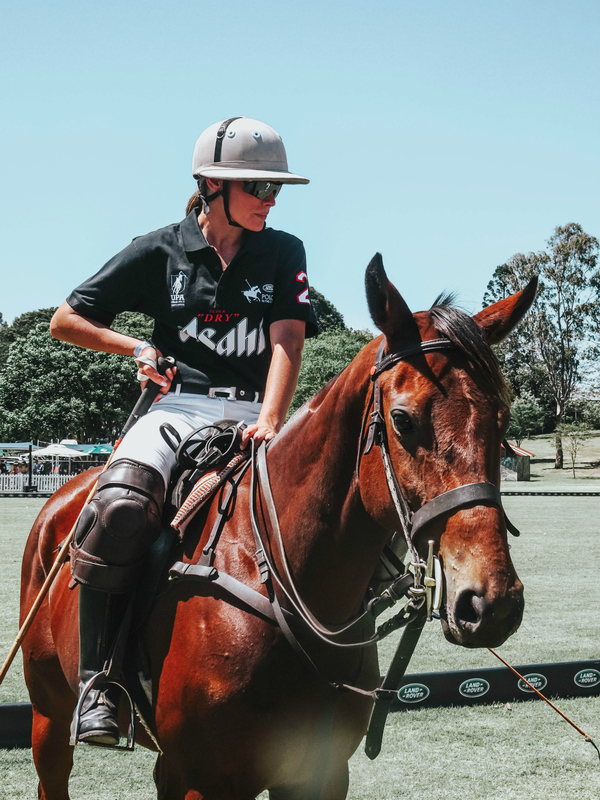 Honestly, if playing polo invites such a chic uniform, then where do I sign up? Socialising with the woman of the hour, the face behind The Polo Project and Polo In The City, Natalie Decorte.